Most people respond well to SCD as it is presented on BTVC. Sometimes, a more restricted version of the diet is needed to help the body heal. In our parent support group we have seen that extra-sensitive IBD kids respond well to a more restricted form of SCD when first starting the diet, and over time as they heal, they gradually expand their diet and are able to enjoy the full scale of SCD foods. Morana Bodmer (PhD) is a researcher by nature, a scientist by training, and the mother of three children. When her son Noah was diagnosed with Crohn’s, she and her husband, a medical doctor, decided to use SCD as a dietary therapy. ...continue reading "Modified SCD: Low FODMAP nut-free, egg white free, SCD"
Tucker Sweeney became a role model for SCD dieters after publishing his book Two Steps Forward, One Step Back: A Journey Through Life, Ulcerative Colitis, and the Specific Carbohydrate Diet. The book became an important motivational tool in our house in our first years of SCD. Our young son found it easy to identify with the cool sporty dude in the book, who struggled to adhere to SCD and finally triumphed. Us, parents, found hope in reading how the diet enabled Tucker to resume normal, healthy life. ...continue reading "10 years of SCD: Tucker Sweeney shares lessons on balanced life and health maintenance"
The kitchen where I prepare just about everything my 16 year old son eats is on the eastern coast of Florida, not far from the Atlantic Ocean. Each weekend I have a list of no fewer than 20 dishes that I prepare from scratch—pancakes, condiments, treats, entrees, roasts for sandwiches on breads I make from almond flour. My son has Crohn’s disease, and for the forseeable future, he will not be eating anything considered convenient. Does this sound like punishment? It depends on your definition. ...continue reading "I felt compelled to donate to SCD research as a prayer for my boy, a token of appreciation for Dr. Suskind, and as symbol of solidarity with other families dealing with IBD"
The outside world just doesn’t get it sometimes. Even when close family and friends are sympathetic, they can’t completely comprehend our journey. Since our daughter’s Crohn’s diagnosis, I have been journaling how I spend my time. I want to share with my friends why I haven't been available, but don't want it to sound like a sob story as I'm not trying to solicit sympathy. I know that parents in similar situations are the only ones with real insight into this way of life. ...continue reading "Dear family and friends- sorry I can’t be available"
My story is a little different than some of the other stories I hear about those needing the SCD diet. Whereas many people who have chosen this diet have had things go wrong to drive them to it, we actually came to the diet thanks to a miracle. ...continue reading "A father’s perspective: It was a miracle"
Author Tali GudayPublished on March 27, 2016 March 28, 2016 3 Comments on I have my little boy back. 8 days. That is how long it took to resolve his pain. Cameron is doing well now. I would rather be cooking for a healthy child than going to the hospital, filling various prescriptions, and going to multiple medical appointments. ...continue reading "I have my little boy back." Published on March 27, 2016 March 28, 2016 Author Tali GudayCategories Diet StoriesTags cameron, SCd story3 Comments on I have my little boy back. 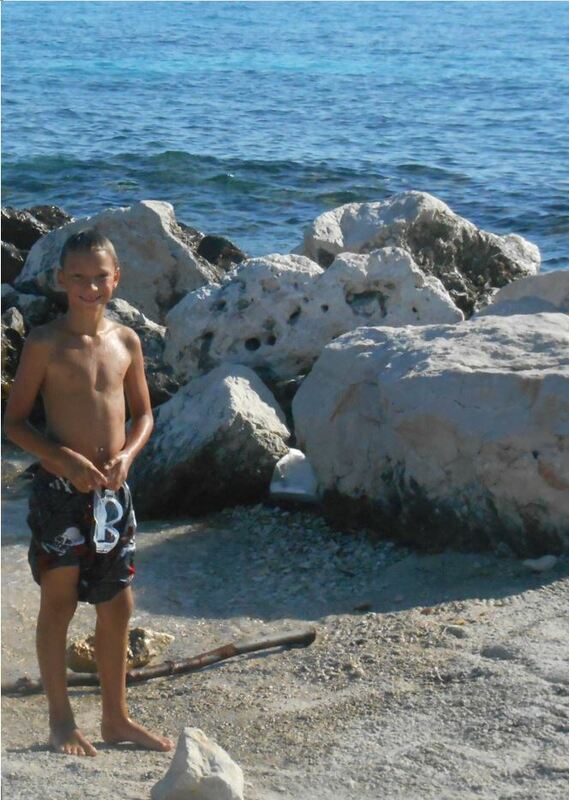 Our son Noah was diagnosed with Crohn’s in the summer of 2014 - he has just turned ten. In the preceding months he was suffering from diarrhea and low-grade fever. He had lost weight and the color had drained from his cheeks. Even though it was summer, he would not go for a swim in the lake (we live on the banks of Zurich lake) saying it was too cold, while all his friends were cajoling him to join them. We knew something was wrong, but the diagnosis still came as a complete shock and we were numb with sadness and anxiety. I remember just how beautiful that summer day was, but for us it felt as if the sun had stopped shining. ...continue reading "Noah, A Young SCD Ambassador In Switzerland"
My husband, Mark, was diagnosed with Crohn’s disease twenty-five years ago. He has had multiple surgeries and have used multiple medication to manage his symptoms. Things became more complicated four years ago when our son, Jack, was diagnosed with Crohn’s disease and 5 short months after our daughter, Kristina, was diagnosed with Ulcerative Colitis. ...continue reading "The SCD Journey of the Woodward Family"
“This diet is just too hard to do” said the high-caliber gastroenterologist as he explained to me that, while he believes the diet can help, he will not recommend it to his patients. I wish he could meet Anna and her family. They believe that when there is a will, there is a way. Anna meets challenges with resourcefulness and determination, and her efforts are worth it! ...continue reading "Anna Maintains SCD In Boarding School and While Traveling The World"
Our son is a diet veteran, with over five years of eating strict SCD and mentoring people new to the diet. He knows that this diet granted him freedom from pain and from medications. However, while the diet led to wellness, the diet also created some dependencies that we cannot ignore. 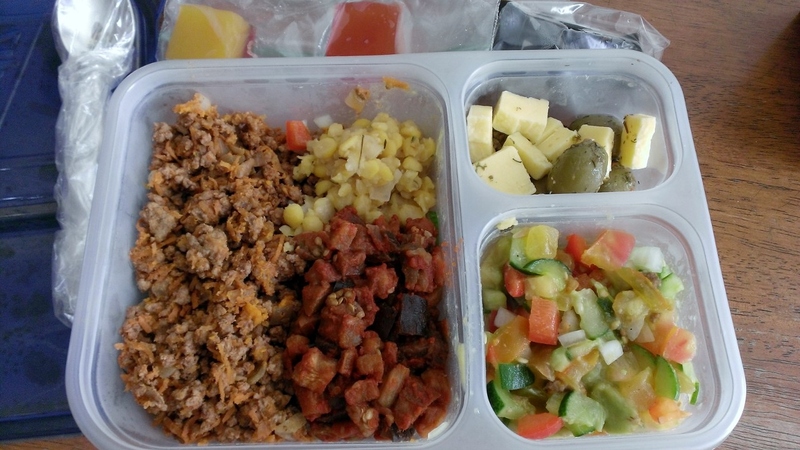 Teen packed lunch: Taco beef, eggplant salad, yellow lentils, fresh garden salad, olives and cheese. ...continue reading "Diet and Independence – SCD and Teens"